This Saturday, September 9, the Hebron Food Pantry will be at the Market, to help feed people locally, and students from Wheaton College will be taking donations to feed those in Texas (and making Kindness Rocks, see below). Keaton Schrank is a Junior at Wheaton College and the president of the Community Service Council, a student-run organization on the Wheaton campus. She is also from Texas and has family and friends who have been impacted by the hurricane. Food is one of the most critical necessities during natural disasters, and donating money is the best way to distribute food locally. All donations from the Market will go directly to Feeding Texas, a network of food banks that reaches across the entire state. Feeding Texas is recommended by the National Voluntary Organizations Active in Disaster, a leader and voice for the nonprofit organizations that aid in all stages of disaster relief. Keaton, along with a few other Wheaton students, will be taking donations for Feeding Texas and helping Market patrons begin their own Kindness Rock garden. 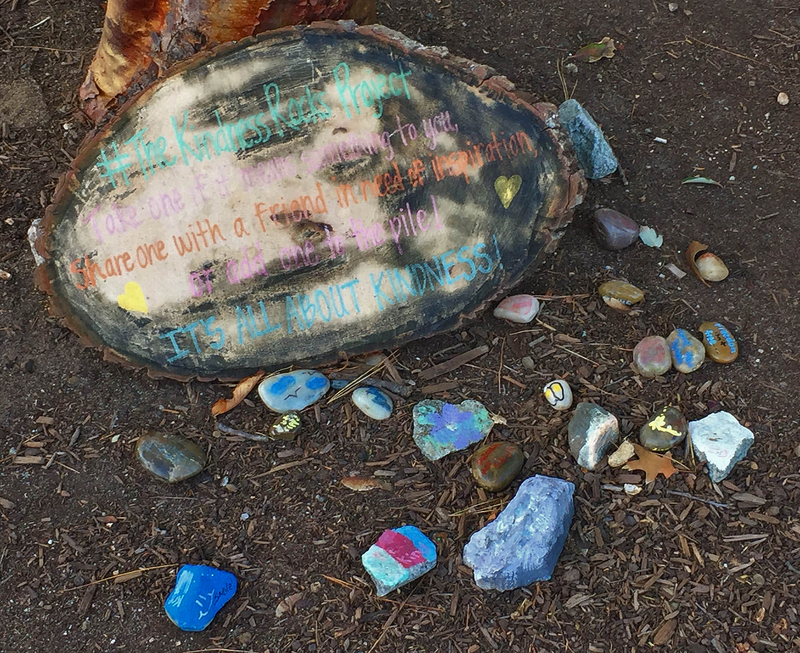 Kindness Rocks are painted rocks with inspirational messages written on them for you to share or make your own Kindness Rock garden. The print on the wood in the photo above reads: #TheKindnessRocks Project, Take one if it means something to you, Share one with a friend in need of inspirations, or add one to the pile! It’s all about kindness.